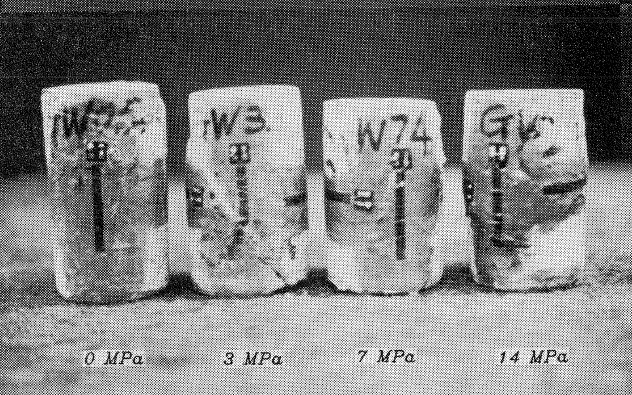 A total of 166 grout specimens made using 4 types of moulds were tested in uniaxial and triaxial compression. Five lateral confining pressures ranging from 0 to 14 MPa (2 ksi) were applied to weak, medium and strong grout specimens. Both static and cyclic loading tests were carried out. High confining pressure was found to increase significantly both the ultimate strength and ductility of all the types of grout.